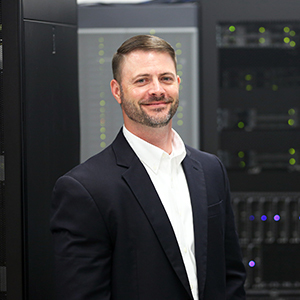 Immedion LLC, a premiere provider of Cloud, data center and managed IT services, is pleased to announce the promotion of Brad Alexander to Vice President and Chief Technology Officer. In his new role, Alexander will guide the company’s technology strategy and execution, ensure maximum uptime and performance of Immedion’s services and drive on-going product development. Alexander joined Immedion in 2010 as Director of Operations and Engineering and was promoted to Director of Technology for all Immedion locations in 2012. In 2014, Brad was promoted to Senior Director of Managed Services where he led the expansion and enhancement of Immedion’s managed services and public, private and hybrid Cloud offerings. In this role, Brad directed the successful implementation of Immedion’s Recovery Cloud (DRaaS) offering, high-performance SSD Cloud storage solution and self-service Cloud management tools. This focus on delivering innovative and highly reliable infrastructure services has contributed to the continued growth and success of the company. Brad is based in Greenville, SC, Immedion’s corporate headquarters. He earned his Computer Information Systems Degree from Clemson University.